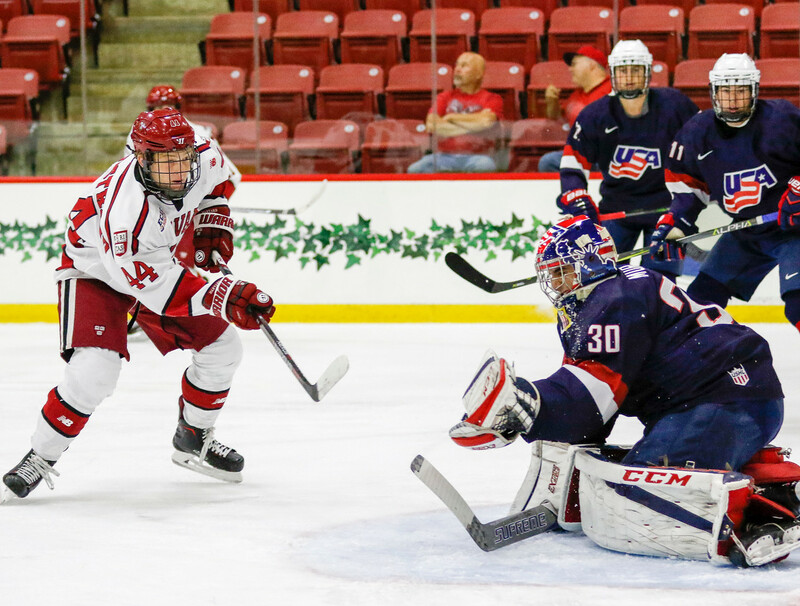 Take one look at the most recent USCHO Division I poll, and something will stand out: the Harvard men’s hockey team sits at No. 3, but the team has yet to play a single game. The 0-0-0 record looks out of place among all the other normal records. This is because, for the last three weeks, the Crimson and its fellow Ivy Leaguers have watched the rest of the league dive into regular season action. Now, with Dartmouth coming to Cambridge in a matter of days, the wait is finally over. 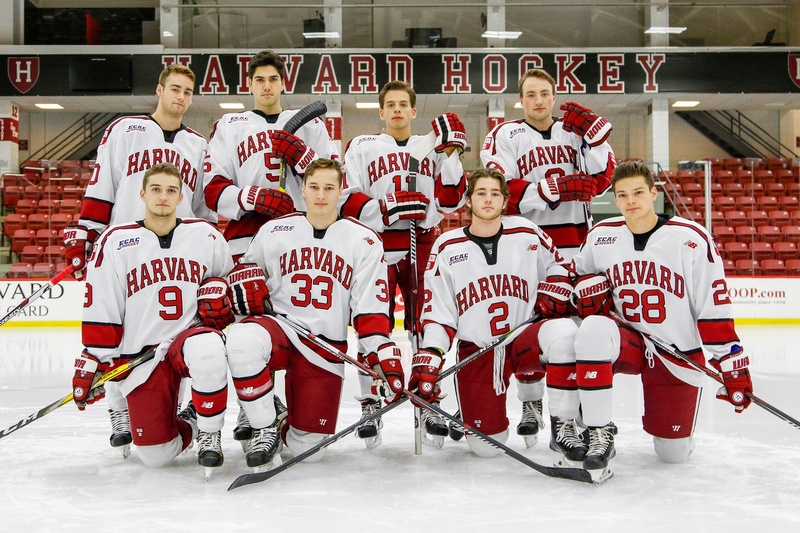 Harvard will kick off its regular season with a rare Sunday night matchup against the Big Green at 7:00 p.m. Due to Ivy League restrictions on season start dates, both teams launch their 2017-2018 campaigns weeks after the majority of their Division I peers. By the time the Crimson takes the ice on Sunday, all 19 of the other programs in the latest USCHO top-20 poll will have played at least five contests. Fully energized for the 29 games ahead, and surely a bit restless, the team is chomping at the bit. Harvard is hoping for a better result against the Big Green than last season’s first bout between the two teams. In an uncharacteristic blip, the Crimson fell on the road, 8-4. 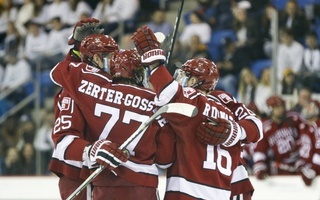 This rout concluded three-game losing skid, which proved to be a pivotal moment in Harvard’s Frozen Four journey. After returning from the Dartmouth trip frustrated and humbled, the 2016-2017 Crimson icemen recommitted themselves to their game and remained unbeaten for 18 games until being bounced in the national semifinals by Minnesota-Duluth. 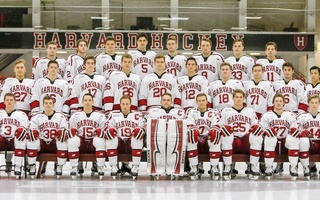 This year’s Harvard squad remembers that turning point, although the players won’t dwell on it. In a season defined early on by roster turnover and uncertainty in the forward ranks, the Big Green can still expect a great deal on Sunday. Junior forward Ryan Donato will dazzle with his stick skills; sophomore blue-liner Adam Fox will facilitate both on the power play and 5v5; the top defensive pairing of senior Wiley Sherman and sophomore John Marino will aim to lock down Dartmouth’s top line; and Madsen will do his best brick wall impression as he mans the cage. The 2017-2018 freshman class will be expected to fill large holes left by a dominant graduating group. An injection of youth into the lineup means a steep learning curve during the Crimson's crucial three home games before hitting the road. Meanwhile, with players filling vacancies left by last year’s senior class, the 2017-2018 Crimson will have plenty to prove. 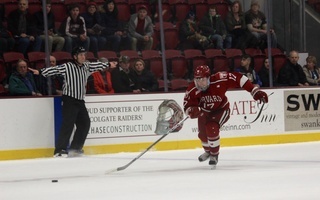 Freshman forwards Jack Badini and Henry Bowlby have skated abreast on the third line in the team’s two exhibitions. Together with last year’s Beanpot MVP, sophomore Nathan Krusko, the two rookies will provide ample speed and skill in Harvard’s bottom six, which should give the Dartmouth defense plenty of additional trouble. In Sunday’s tilt, the shutdown task for this experienced defensive corps will revolve around Dartmouth senior forward Corey Kalk and his sophomore linemates, Will Graber and Cam Strong. The three combined for 55 points last season, good for a quarter of the team’s scoring. The Crimson will employ a more balanced strategy this year, as opposed to last season’s offense-first mentality. 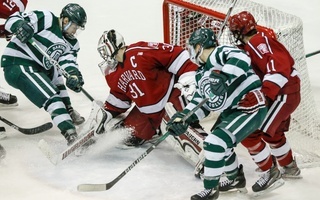 Still, the Big Green should struggle to match Harvard’s scoring capabilities. 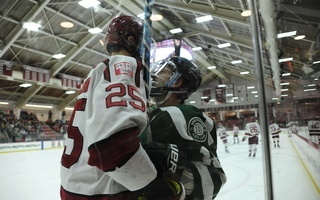 Just two of this year’s top-liners, Donato and junior Lewis Zerter-Gossage, combined for 65 points in the 2016-2017 campaign, surpassing Dartmouth’s entire top line for this season. From a team-wide perspective, the Crimson’s 4.06 goals per game average ranked second among the 60 teams in Division I. The Big Green, on the other hand, placed 40th in team scoring. “We’ve played the two scrimmages and…we’ve had a lot of success with [the offense], especially with our freshmen stepping up,” Madsen said. Considering Harvard’s significant forward turnover this season, a fairer comparison of the two teams lies between the pipes. Madsen’s numbers last season were stellar: a .923 save percentage and 2.11 goals against average culminated in a .806 win percentage, good for second-best in the NCAA. With his blue line relatively intact after the departure of only Clay Anderson ’17, Madsen could conceivably post comparable metrics in his senior campaign. Meanwhile, Dartmouth netminder Devin Buffalo finished last year with a sub-.900 save percentage and a goals against average of 3.29. The disparity in these numbers is the difference between a league-best 28 wins for Madsen—including a program record 16-game win streak—and a meager 10 for Buffalo. While the statistical comparisons do paint a decent picture, Harvard is simply a different team than it was last season, as the squad returns only 51 percent of its scoring. Last year, the seniors alone came just 15 points shy of outscoring opposing teams. With this dynamic class moving on, the new-look Crimson will have to let its play this season speak for itself. Last year’s campaign was an exhilarating ride, but the team knows it’s time to put that to bed. After spending most of last season in the bottom six, junior forward Michael Floodstrand will look to cash in on his larger role this year. The Hinsdale, Ill., product tallied three points in 23 games last season. Hence, the Crimson’s mantra for the 2017-2018 campaign, “Earned, Not Given,” centers around establishing a unique identity. 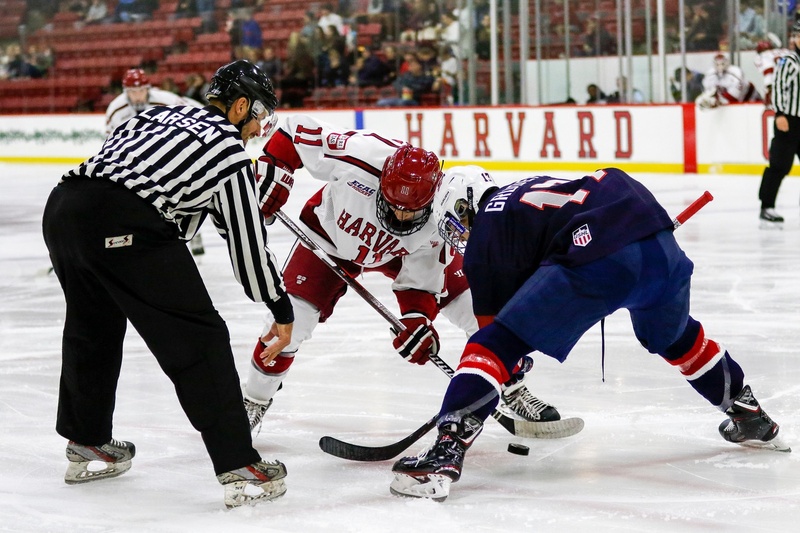 Over the first three home contests, the Crimson will prioritize solidifying lines, executing in its systems, and getting back its game legs. Then, the team hits the road for nine consecutive away contests featuring its most difficult opponents of the year, who will certainly be gunning for highly ranked Harvard. —Staff writer Spencer R. Morris can be reached at spencer.morris@thecrimson.com. Follow Spencer on Twitter @SMorrisTHC.